Most Russians can only dream of living the high life, but they have firm ideas of what they would buy if they could afford luxuries. With the likes of Chelsea football club owner Roman Abramovich frequently featuring in the British press, you might be forgiven for thinking that Russia is full of oligarchs jet-setting around the globe. But in reality most Russians can only dream of living in luxury. Sociologists at the Romir research centre decided to find out what Russians think constitutes a luxury, and what you need to earn to enjoy a luxurious lifestyle. They surveyed 1,000 residents of cities with populations of 100,000 or more in eight federal districts. The survey respondents were aged between 16 and 50. The main symbol of luxury for the majority of Russians (53%) was a private yacht. In second place was property (42%) and a private plane (38%) was third. Expensive cars were named by 37%, diamonds by 30%, and holidaying on exotic islands by 29%. Less than 15% saw antiques or valuable paintings or going on cruises as symbols of luxury. Clothes by famous designers and fur were considered luxuries by 9% and 8%. Only one in 20 associated gourmet restaurants with luxury. And while black caviar is often associated with the high life in the West, only 4% of Russians named it as one of their would-be luxuries. Rankings of luxury items differed between men and women. Men were more strongly impressed by yachts (58%; 48% for women) and private planes (42%; 34% for women). Luxury homes are cited more by women than men as symbols of luxury (49% versus 34% for men). People in different age groups also had different priorities. Expensive cars were most important to the under 25s, but older people ranked them in fourth or fifth place. A private plane was named as the second most important luxury for those aged 25 to 44, while younger respondents were less impressed by the pleasures of private air travel, ranking it in fifth place. Russians over 45 saw holidays on exotic islands as their main idea of living in luxury, while younger respondents had other luxuries in mind, ranking exotic holidays in sixth place. When asked which countries were most associated with luxury living, 33% chose France. This was followed by the United States (23%) and United Kingdom (21%). Interestingly, the top 10 countries associated with a life of luxury included Russia (6%). Perhaps this is because Moscow is now one of the most expensive cities in the world. More women than men opted for France (46%; 20% of men), probably because Paris is seen as the city of romance and haute couture. Men were more likely to cite the US, Britain, and Switzerland. The United Arab Emirates and Monaco, where wealth is more obviously on display, were also mentioned (by 14% of men and 11% of women). When it came to naming brands associated with luxury, Dior, Chanel and Gucci were among women’s favourites, while Bentley, Rolex and Dolce & Gabbana were named most by men. 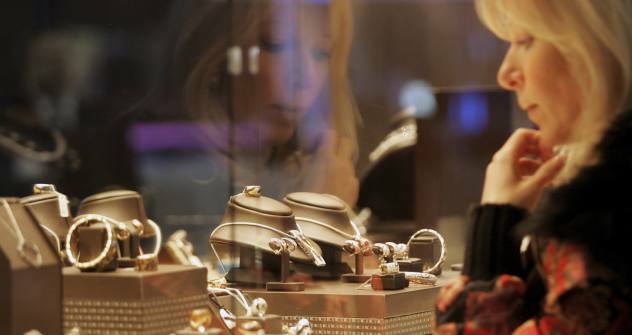 The survey found almost unanimous agreement that rich people should pay a higher rate of tax when buying luxury goods. Only 7% thought that there should not be a tax on luxury items. However, there were differing views as to where the bar for taxing luxury goods should be set. According to 40% of respondents, a higher rate of tax should be charged on items costing as little as 500,000 to a million rubles (about $ 17, 000 to $ 34, 000). They hadn’t seemed to take into account, however, that their own family cars might be subject to a higher tax at this rate. Others set the bar higher at anything costing 3.2 million rubles (about $ 108, 000) or more. Perceptions of how much you need to live in luxury varied. On average, it was thought you needed a monthly income of a million rubles per family. Those in Moscow and St. Petersburg put the figure at 1.5 million rubles (about $51, 000) a month. When the Romir research centre asked Russians in August 2011 what they thought was the minimum wage needed for a family of three to live a “normal life”, the average answer was 66,000 rubles (about $ 2,240), and around $ 3,000 for St. Petersburg and Moscow. Perceptions of the income needed to live the high life were virtually the same for men and women, but differed wildly when it comes to people of different age brackets. Those under 25 considered people with a monthly income of 650,000 rubles (about $ 22 000) to be rich while the older age group put the figure at 1.1 million rubles (about $37, 000).